The United Kingdom is home to some pretty amazing media streaming services and reputable news publications. However, you already know that many of these are geo-restricted. So, you must be asking yourself how to get a UK IP address? Well, first and foremost – this can be easily done, but only by using a VPN application. Don’t worry if you haven’t used one before, we’ll teach you all you need to know. You’ve probably heard before that VPNs are premium-priced solutions. However, the good news is that they’re incredibly affordable, and they’re also easy to use. And more importantly, they allow you to get a UK IP address which in turn unblocks a huge array of websites. For example, you can watch ITV, Now TV, My5 – and let’s now forget about BBC iPlayer and Sky Go, perhaps the two most popular media streaming services. And if you’re into sports, a reliable VPN will help you unblock BT Spots from anywhere in the world just by having a UK IP on your device. As you can see, investing in a reliable VPN definitely seems like a good choice. The big question here is – which VPN is the best for getting a UK IP? There are so many options out there, which can easily overwhelm you by their claims and marketing messages. Well, you should know that TechNadu’s editorial team has tested dozens and dozens of VPNs. With this said, we’ve made a short list of the very best ones right now – those that come with the largest number of servers in the UK. And of course, our recommendations come with reliable performance, high-end security features, and they take care of your privacy in the best possible way. Lastly, you need to download and install the selected VPN. Once you launch it, all you need to do is to select a server in the UK, which in turn will get you a unique UK IP. First, you need to select a VPN – and this is actually the most important step. We’ll recommend ExpressVPN as your #1 choice for numerous good reasons. So, let’s go over the best VPNs that you can use to get a UK IP address. ExpressVPN (#1 Ranked VPN): You’ll find this VPN often mentioned on our website, as this truly is the best VPN right now. It comes with 3,000 servers that are fully owned and operated by ExpressVPN. That’s the reason why you can count on fastest possible speeds, high-end security, strong privacy features, and that’s also how ExpressVPN avoids logging any type of data. Also, there are 7 bare-metal servers in the UK alone across 6 locations (Berkshire, Docklands, East London, Kent, London, and Wembley). 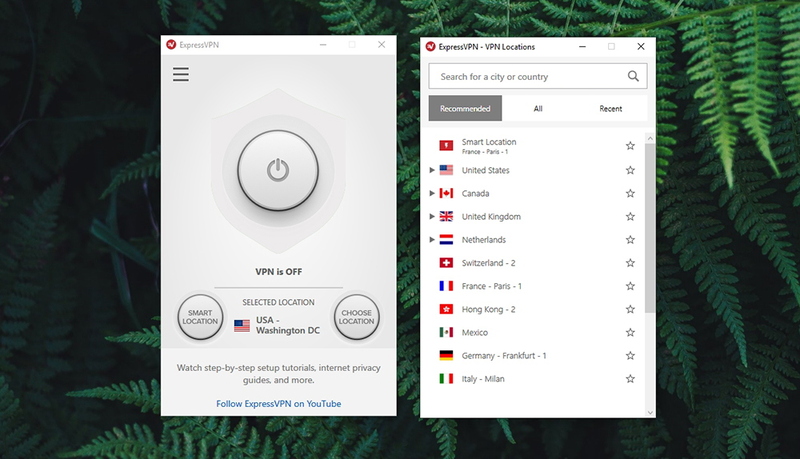 As you’ll soon see, no other VPN offers that many locations. Finally, we’ll also add that ExpressVPN is an excellent all-around VPN for browsing, streaming, gaming, and pretty much anything else. To learn more, make sure to read our review of ExpressVPN. NordVPN: Next, we have a VPN with 400+ servers in the UK spread across 2 locations (London and Manchester). Having that many servers might seem like a huge advantage, but the downside is that you get 2 locations only. Just like our first recommendation, NordVPN also takes care of your data and comes with plenty of advanced functions. Still, you can expect some throttling in this case, especially if you decide to use NordVPN’s double routing. Interested in this VPN? Don’t forget to check out our review of NordVPN. CyberGhost VPN: We end our list of VPNs to get a UK IP address with CyberGhost. This one has 82 servers in the United Kingdom, but only in 2 locations. CyberGhost has built its reputation around security features, collecting no logs, and unblocking websites. And even though it checks all the right boxes, its performance is something that you need to keep in mind. Depending on many factors, you can experience a somewhat unpredictable behavior with up to 40% speed reduction. To get all the facts, we offer you our CyberGhost review. If you still haven’t made up your mind, let us remind you that ExpressVPN is our strong recommendation. Being a hugely powerful all-in-one solution and coming with a great price, you won’t make a mistake if you choose this VPN service. So, let’s see how you can become a subscriber. 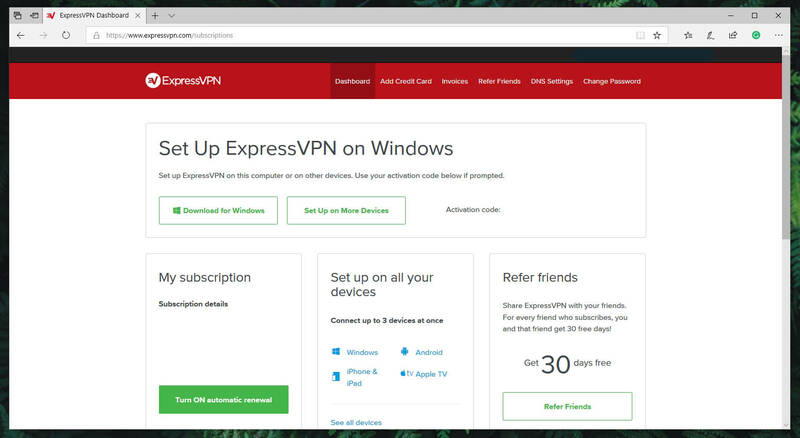 Right now, ExpressVPN offers three subscription plans. As you could have seen in our review of this VPN, getting one of its long-term plans comes with no risks. 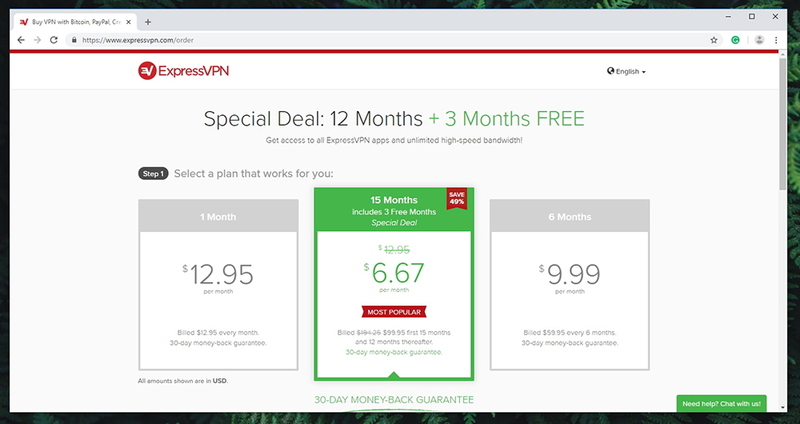 If you’d like to save in the long-run, you can get ExpressVPN’s annual plan which grants you three additional months of service, completely free of charge! Now, you need to enter your email address (you don’t have to use your personal address) and select your preferred payment method. Enter your payment information, and that’s it! Within a few seconds, you’ll receive an email containing the information about your user credentials. We have one last step. 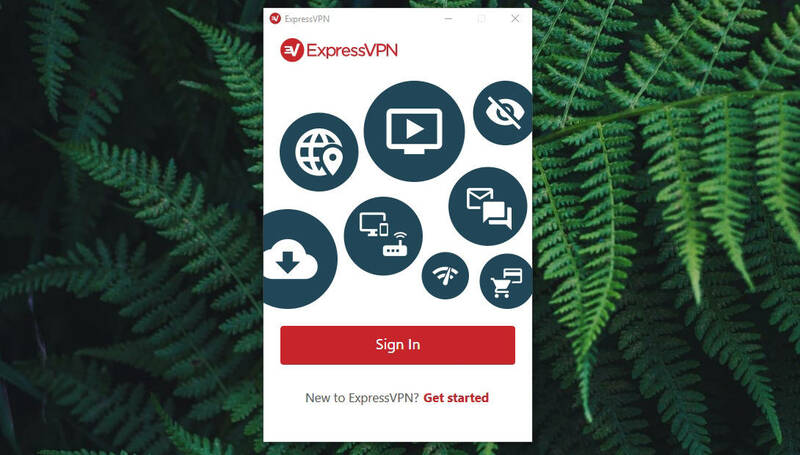 So, once you’ve subscribed to ExpressVPN, here’s how to download and install this application, and then connect to one of its UK-based servers. Finally, use the ‘Choose Location’ button and select a server in the UK. 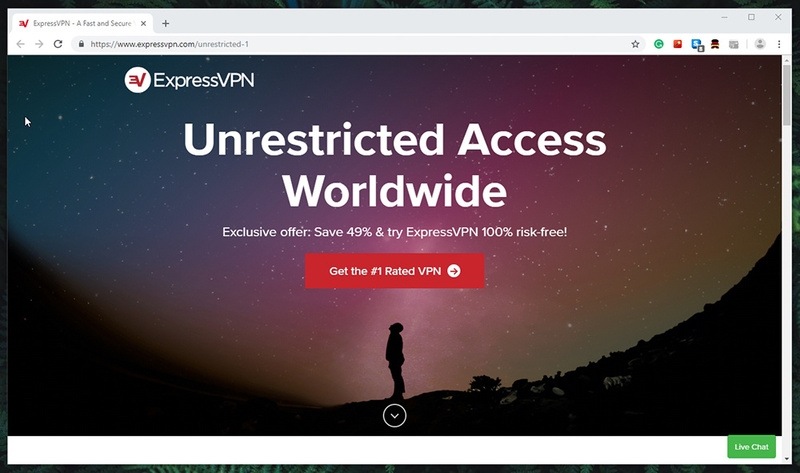 And that’s how you get a UK IP address – since once you connect, ExpressVPN will automatically grant you one. Now, feel free to access any website restricted to the territory of the United Kingdom. Dear TechNadu visitors and readers, this is where we end our article on how to get a UK IP address. Feel free to use the comments section below to tell us what you think, and don’t forget that you can subscribe to our socials on Facebook and Twitter. Thanks!